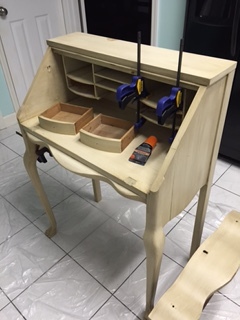 My daughter was given this secretary desk a few years ago but has never had the room for it in her apartment; therefore, it has been stored in our garage this whole time. 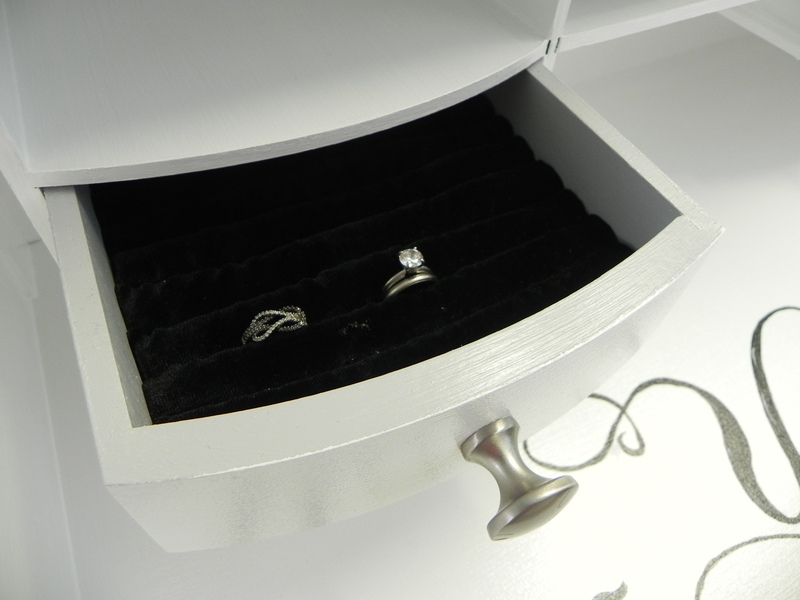 And since I have been looking at several different ways to store my jewelry, I thought this little desk would fit the job! But it wasn’t in the best of shape. In fact, it was in pretty bad shape! I removed the drop down piece entirely, as the wood veneer on the front of it was peeling off and it would have caused more damage if we had tried to remove it completely. (we tried…no success) And due to the fact that it is so extremely humid here, one of the drawer shelves had completely fallen off. So after quite a bit of wood glue and wood filler, Mr. used clamps to hold everything in place and we left it to dry overnight. 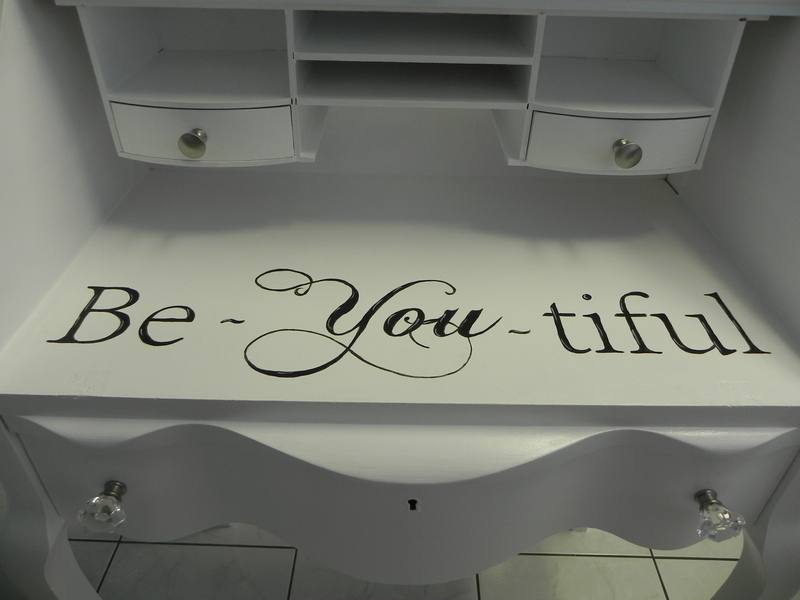 Once it was primed and painted, I made a pattern on the computer and printed out what I wanted to paint on the desk part of my vanity. Talk about nerve-wracking!! I’m not a fan of painting words, but I’m pleased with how it turned out. 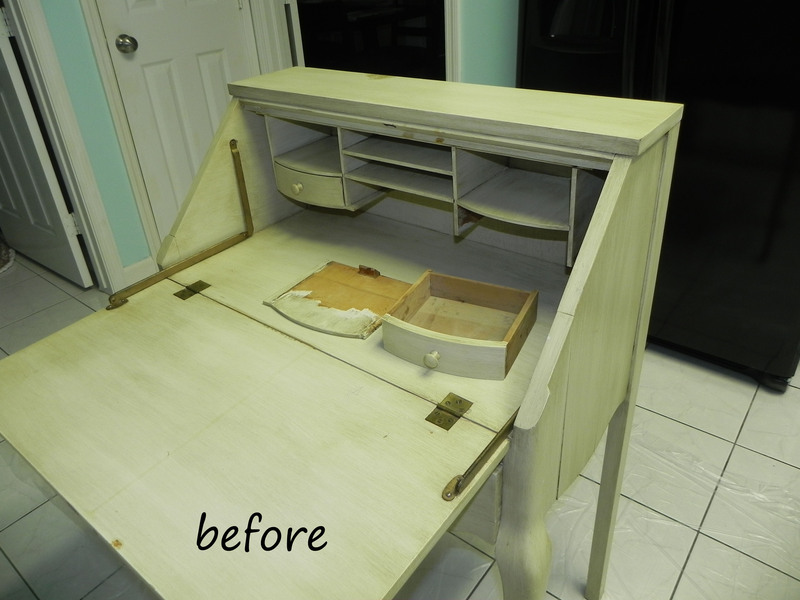 I changed the original wooden knobs to a simple, brushed nickel for the top drawers and glass knobs for the lower drawer. 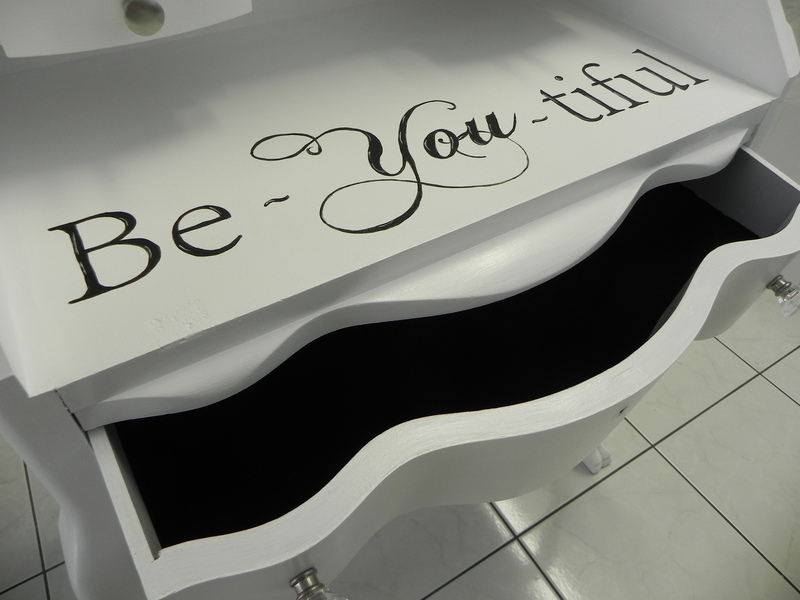 I then had to decide what to do with the drawers. 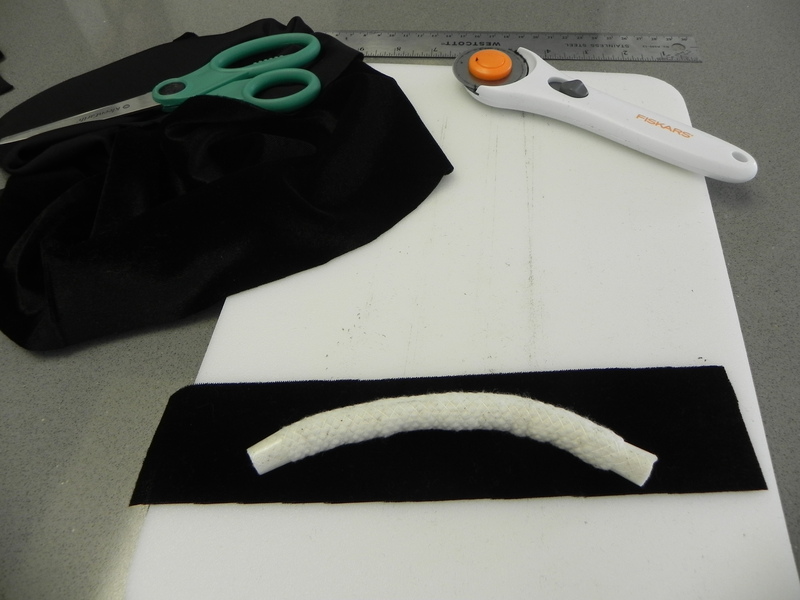 I used cord piping and velveteen fabric and made a ring holder out of one of the top drawers. 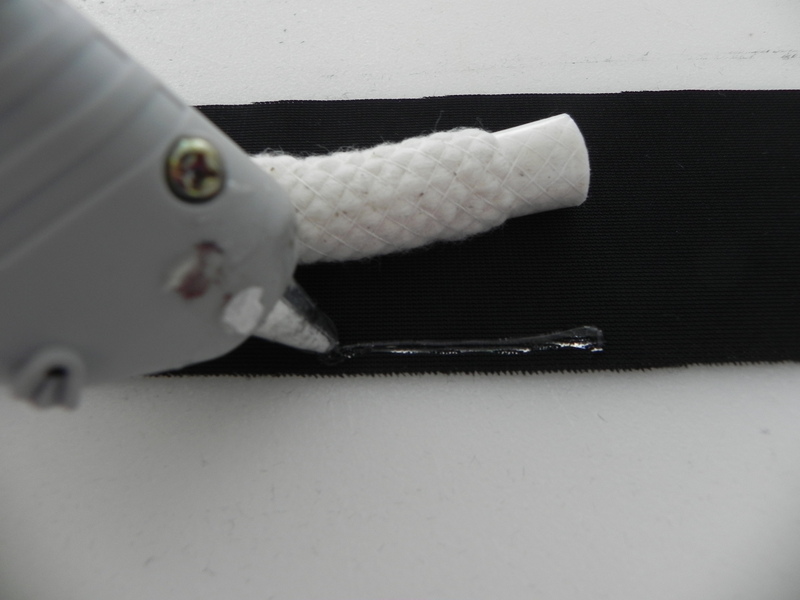 I cut individual pieces of the cord to fit into the drawer, then wrapped and glued each piece with fabric. 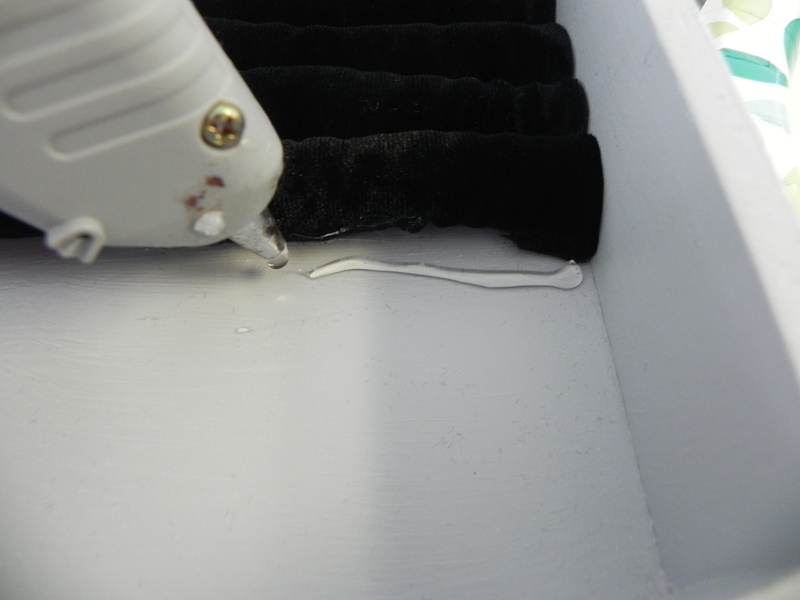 Then I glued each one in place in the drawer. 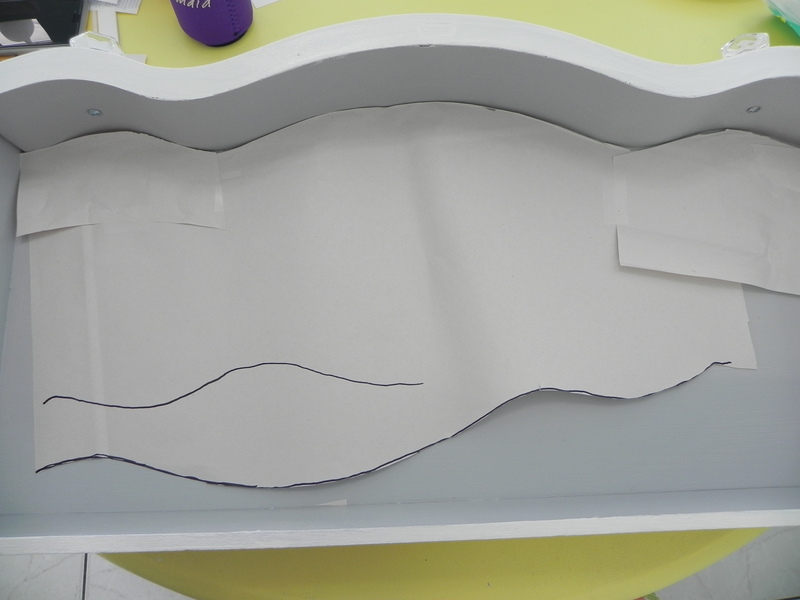 I then made a template for the large lower drawer and cut velveteen to fit into it to hold my bracelets. We’re in the process of doing a master closet makeover and I’m hoping to make room in our closet for this. How awesome will it be to have my jewelry right there while picking out my clothes for the day! Of course, we have to have a before and after shot! Y’all have a great day! And remember to always “Be You”! 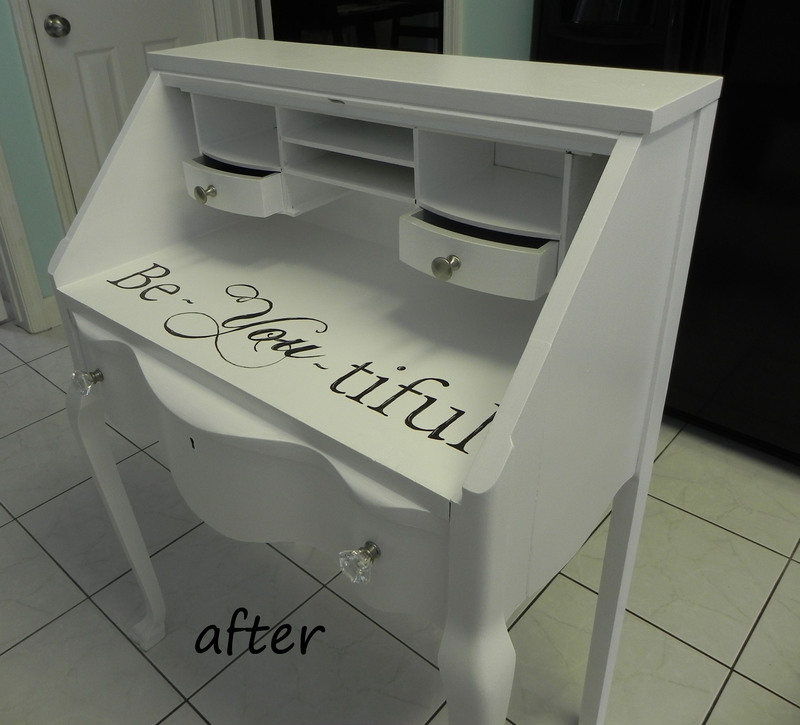 This entry was posted in DIY & Crafts and tagged Be-You-tiful, closet, desk, diy, furniture, home, jewelry vanity, makeover, master closet, repurposed, secretary desk. Bookmark the permalink.